If you took the bar exam in February, you probably received your results by now or you will soon. With the latest scores in hand, the National Conference of Bar Examiners can compare how well these examinees did, and the news is startling. According to the ABA Journal—an online publication that tracks legal news—Multistate Bar Exam (MBE) scores are the lowest they’ve been in three decades. The MBE is a difficult part of the bar exam. If you don’t do well on it, your chances of passing decrease significantly because it counts for 50 percent of the Uniform Bar Exam (UBE), although that percentage varies for other state-specific tests. Louisiana is the only state that doesn’t administer the MBE. The 200-multiple-choice section takes six hours to complete and covers an array of important information that lawyers should know, including criminal and civil procedure, evidence, trusts and wills, torts, and constitutional law. As revealed in the ABA Journal, the MBE average score in 2016 dropped from the previous year, continuing its decline. It was the lowest mean scaled score since February 1983. Erica Moeser, president of the National Conference of Bar Examiners, tried to put it in perspective. Some observers believe that the universal adoption of the UBE will help drive these scores back up, as each jurisdiction tests examinees on the same material. 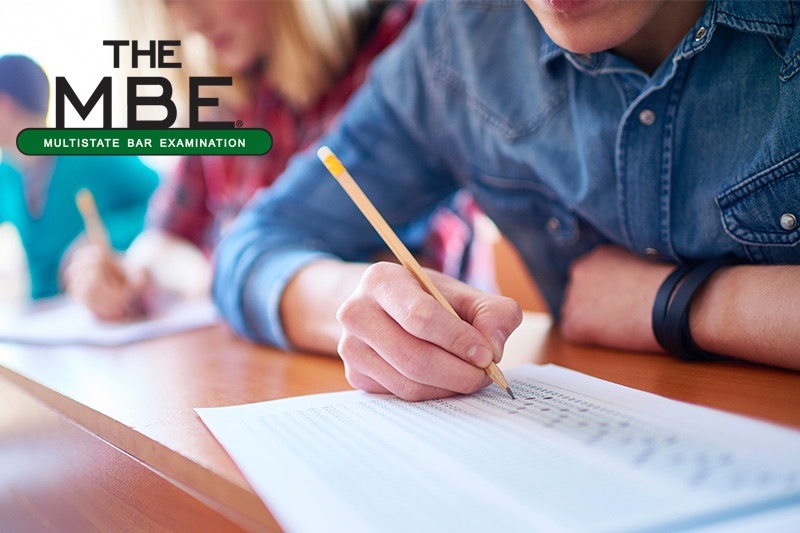 This July alone, New York, Vermont and District of Columbia are all administering the UBE for the first time, while other states, such as South Carolina, plan to administer the exam in the near future. The MBE is a major obstacle that people have to overcome when they take the bar exam. As these results show, it’s more important than ever to turn to the experts for help. Surpassing all the other UBE review courses, Pieper Bar Review can properly teach you how to pass the bar exam, conveying common legal concepts and vital principles that will show up on the test. Due to the number of questions on the MBE, the amount of time it takes to complete, and the wide range of information it covers, Pieper dedicates a large portion of their UBE review course preparing students for this key section of the exam by giving practice tests and teaching useful mnemonic devices that will be helpful on every part of the bar, not just the MBE. Don’t wait another moment. Sign up today and you’ll be making sure that your MBE results won’t be part of the declining trend. With our new Question of the Day available now, subscribers can start practicing for the MBE right away, answering bar exam questions that are sent to them every morning. This Pieper feature lets you get used to the way MBE questions are worded, so when it comes time to take the real UBE, you’ll have already answered countless questions in a similar format. Even if who haven’t signed up for a UBE review course, you can still subscribe to the Question of the Day, making it a useful tool for current and future Pieper people.